Yesterday, I sat down to sew something for myself. 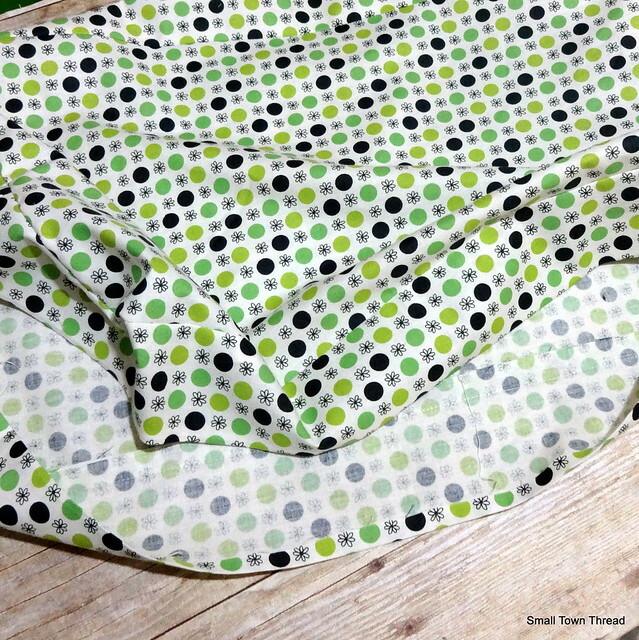 My friend Nicole had wanted to make the Noodlehead Cargo Duffle bag for some time and I loved it, too, so we both sat down (in our own homes) and got started! 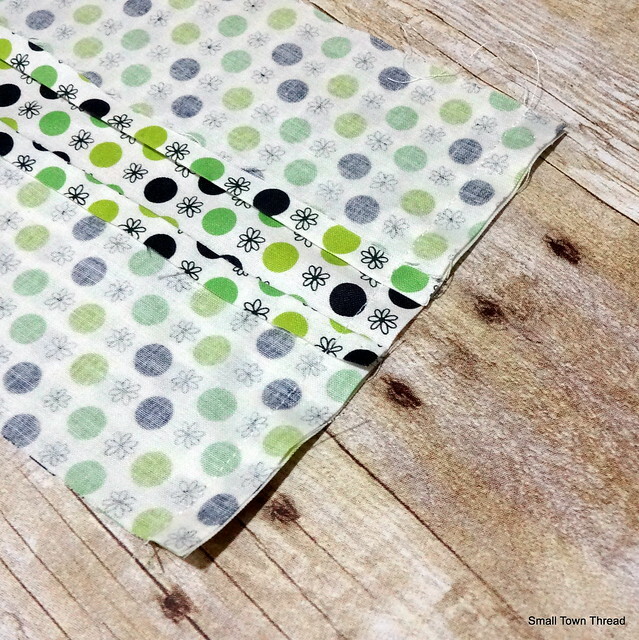 I picked up fabric from Fresh Squeezed Fabrics yesterday and got started last night. I have to say, cutting took me FOREVER. It must have been close to an hour and a half before I was finally done, and I’m not sure why. This isn’t a difficult bag, by any means! 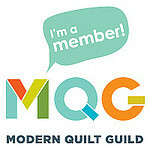 However, I was glad to finally get started! 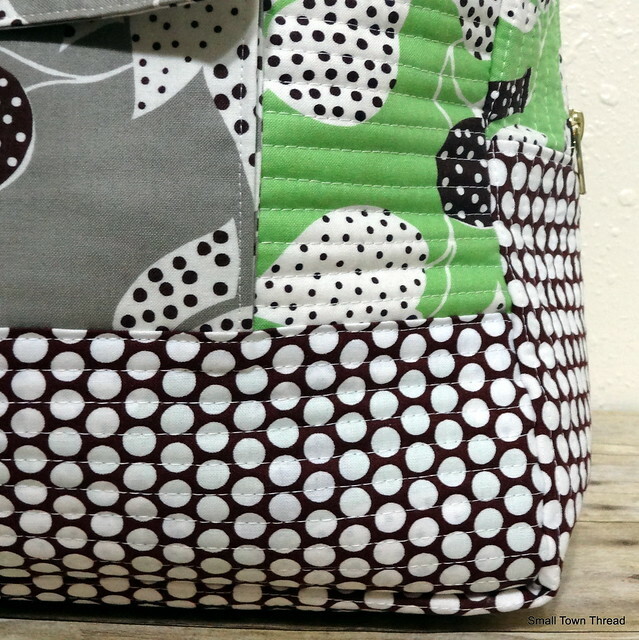 The directions I don’t believe are geared toward beginnners so if you haven’t made a bag before or are newer to sewing, it might get a tad confusing. It’s easy enough to figure out, but prepare yourself. My only peeve with the pattern, and this is minor, is the lack of a lining. 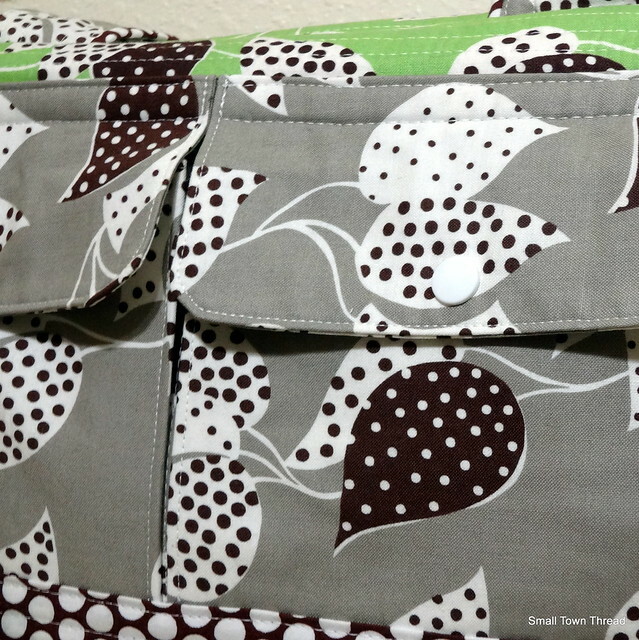 I don’t like unlined bags, and sewing binding on all the seams inside sounded like too much trouble. So, I came up with a way to add a lining, fairly simply. Here goes! Construct the bag as directed, but do NOT cover the seams with binding as instructed. 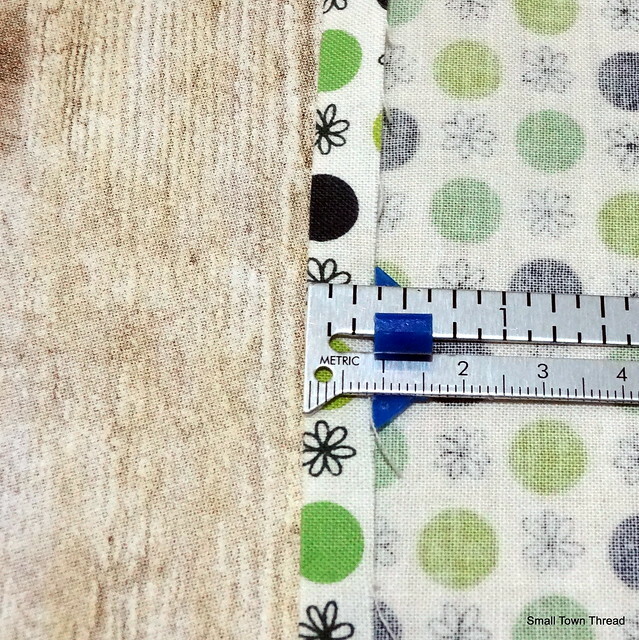 You’ll need a fabric for the inside lining, so make sure to get a yard of that. 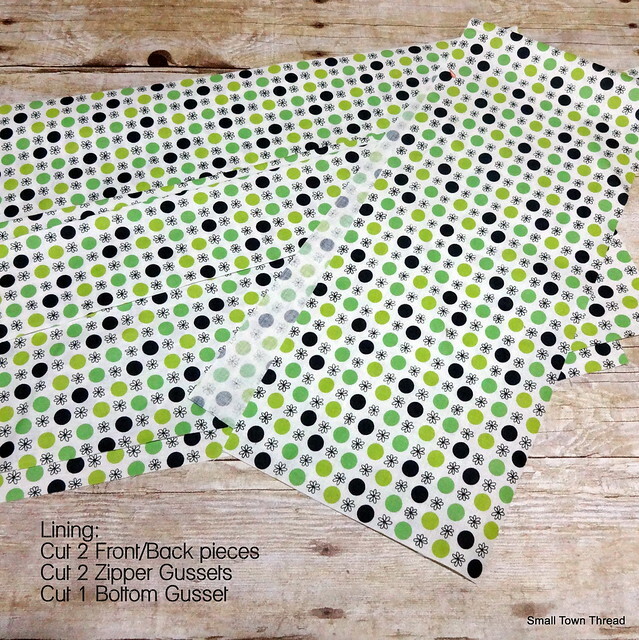 Now, take your zipper gusset pieces, and press one LONG edge over by 3/8″. I used a seam gauge for this and it worked well. 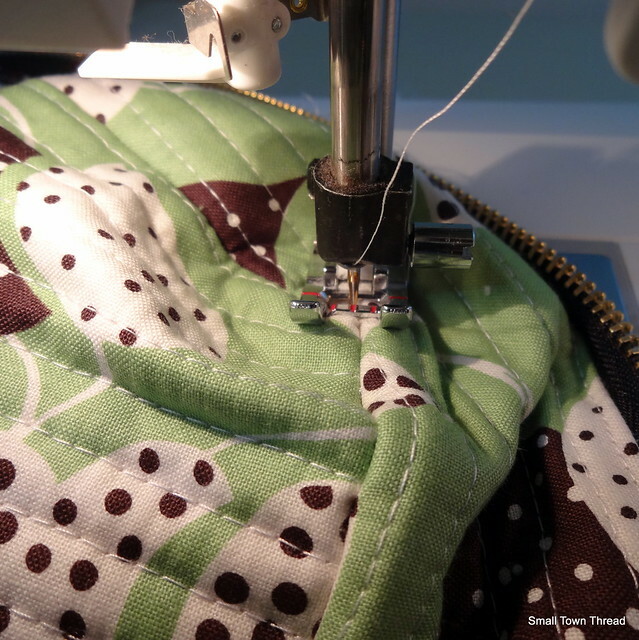 Take both zipper gussets (which both now have one long side folded over and pressed to 3/8″) and pin them to the bottom gusset. You’ll do this the same way you did the exterior pieces, so right sides together. The only difference here is that you don’t have a zipper keeping it all together so align one zipper gusset on the top of the bottom gusset, and one on the bottom, just like shown below. 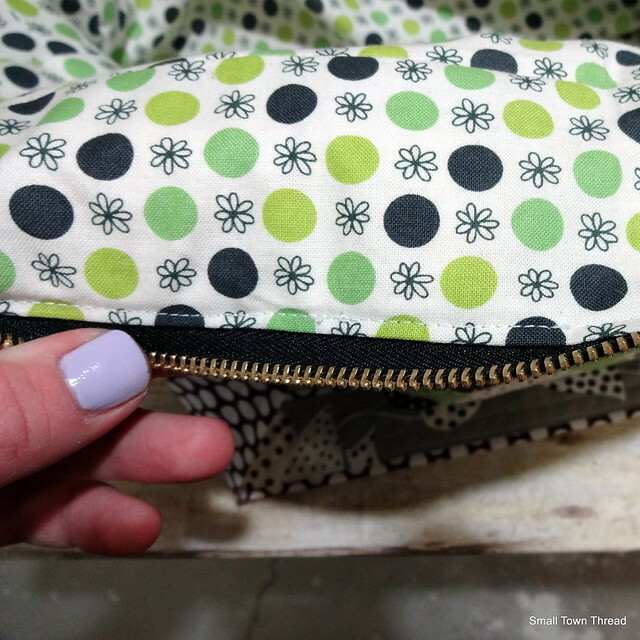 Go ahead and sew BOTH sides of the zipper gussets to the two sides of the bottom gusset with a 1/2″ seam allowance, creating a tube, just like with the outer duffle. 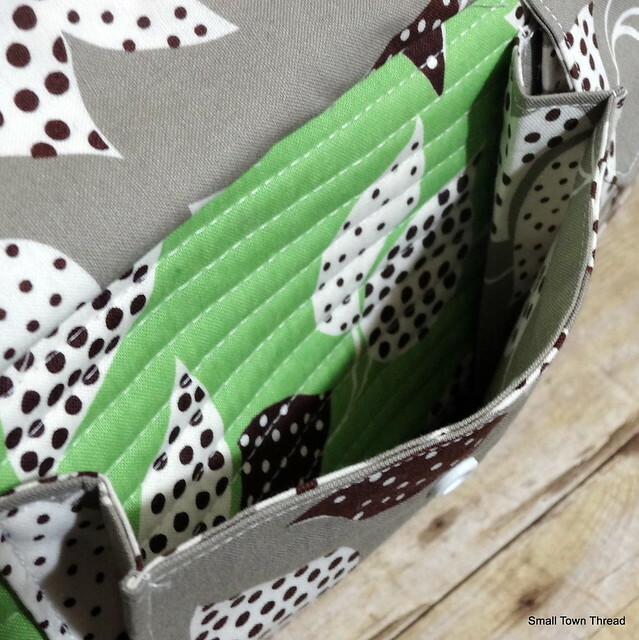 Now you’ll need to make sure to mark all your centers on all the long sides, of both zipper gussets as well as front/back pieces and bottom gusset. 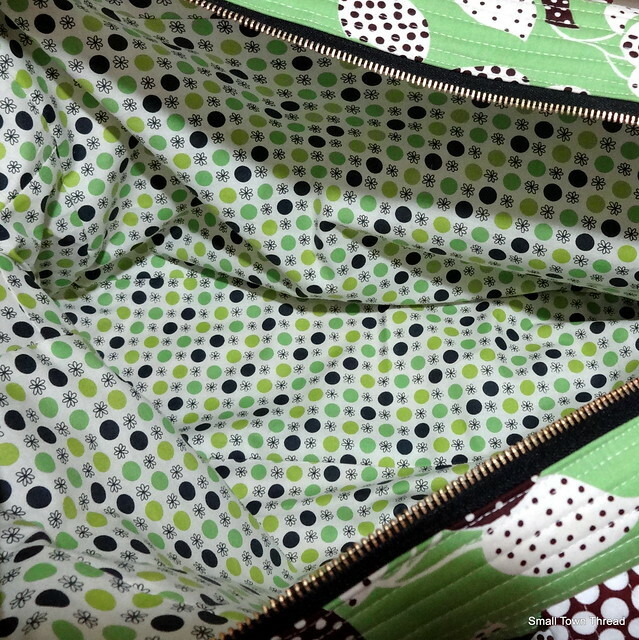 Align the centers as you did on the outer duffle, and pin well. 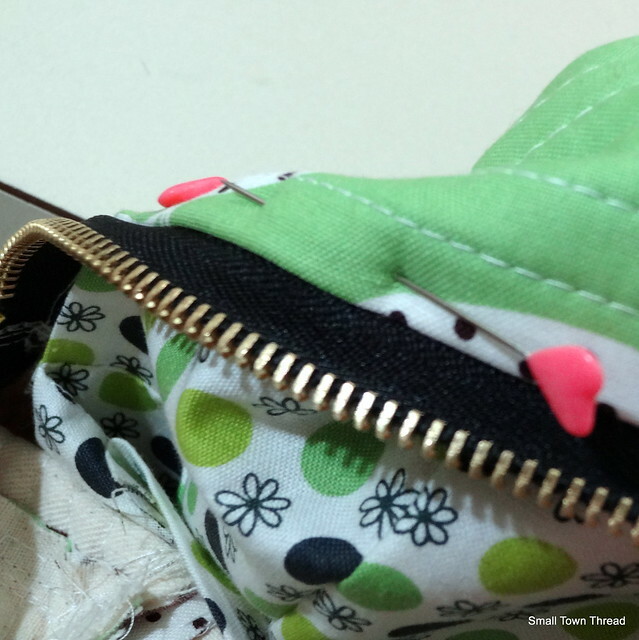 Sew the zipper/bottom gusset to the front/back pieces just like before. 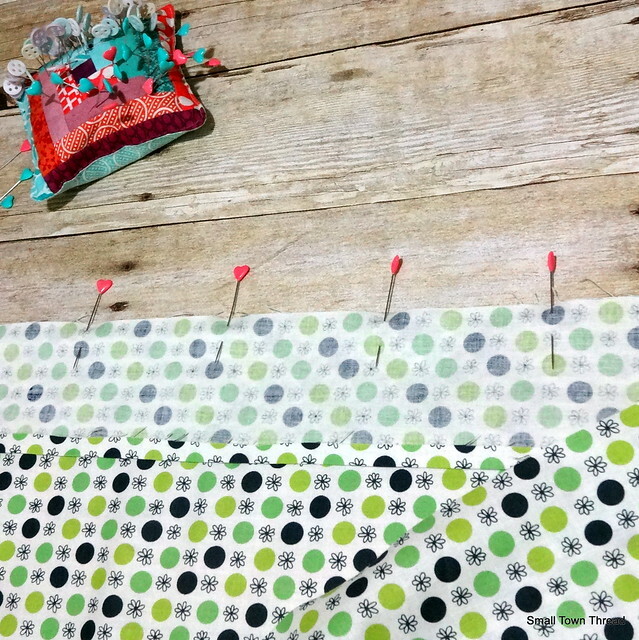 Make sure you stop 1/2″ before the end of the front/back piece and then turn it to sew the next side. 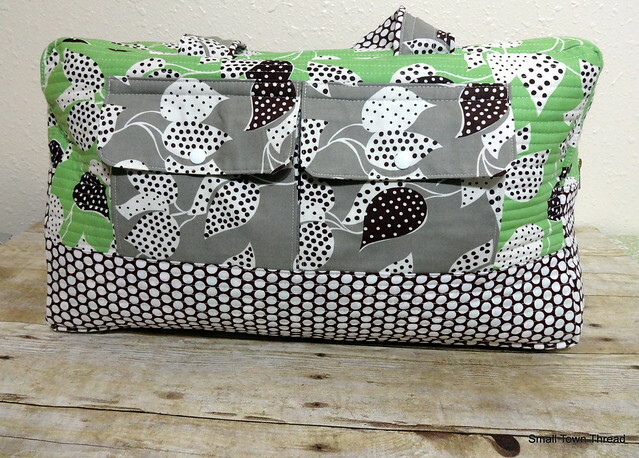 You’ll end up with a complete lining piece that looks a lot like the completed duffle bag now. Now here comes the tricky part. Turn your lining inside out. You’ll place inside your duffle bag, and align it with the zipper gussets. 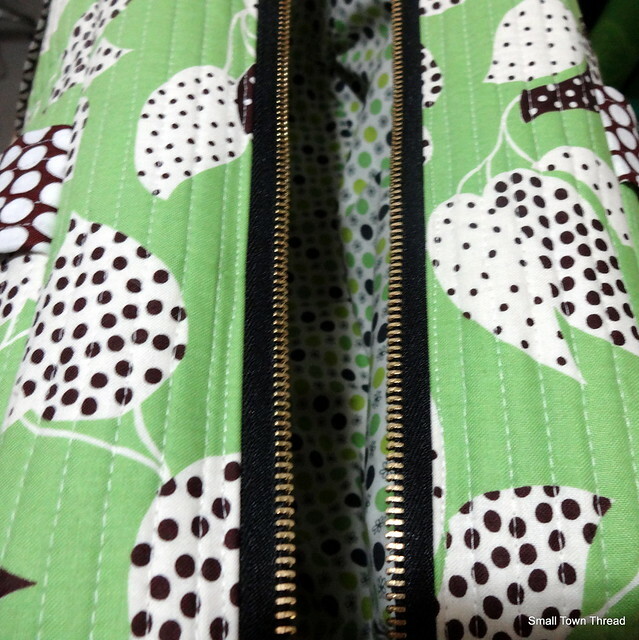 So, starting from one side, match up the edge of the lining zipper gusset with the stitch that is on the back of your zipper. 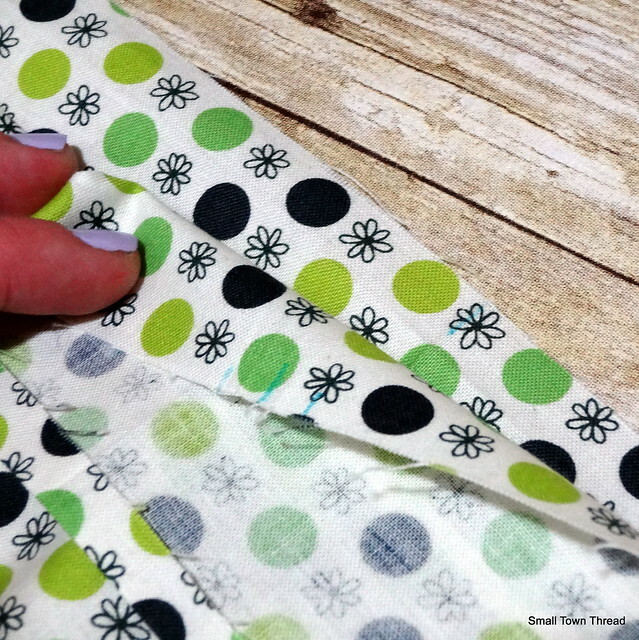 You’ll want to cover that seam stitching to make sure it catches when you topstitch later. Go crazy with the pinning on this part! 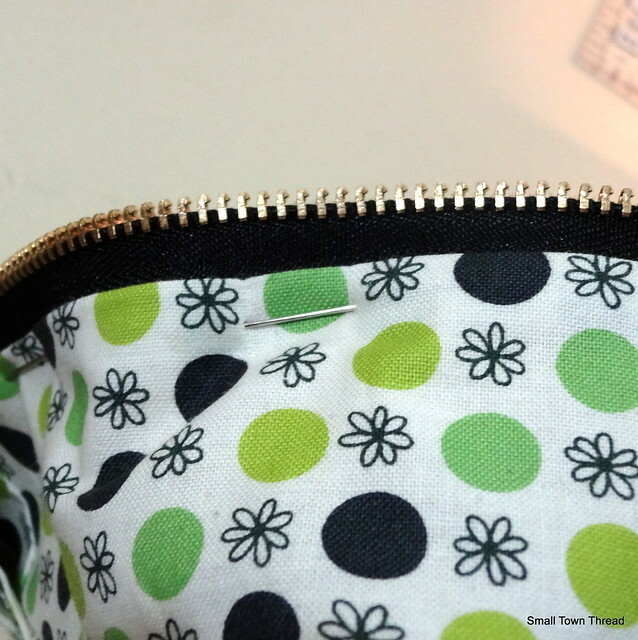 I recommend using a zipper foot for this next part, but as you can see from my photos, it’s not entirely necessary. 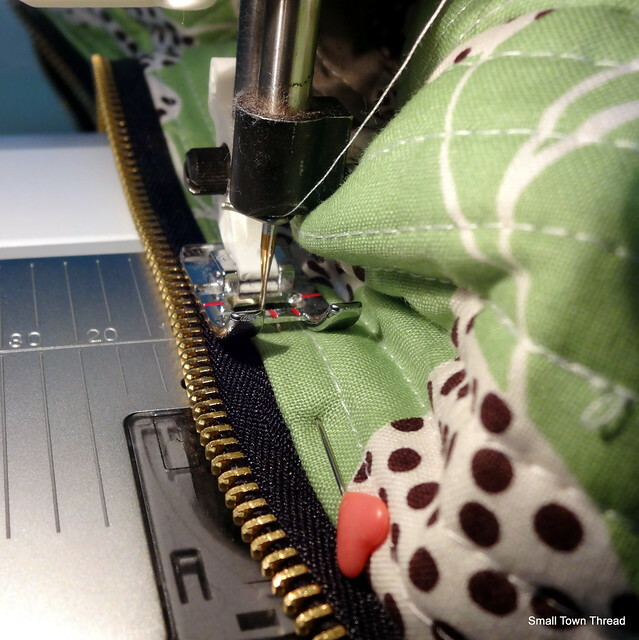 Starting in the middle of the zipper gusset, topstitch your zipper 1/8″ from the edge, all the way down to the end of the zipper. Then turn it around and do the same for the remainder of the zipper gusset. This will be bulky, and possibly difficult, but do go slow and take it easy. 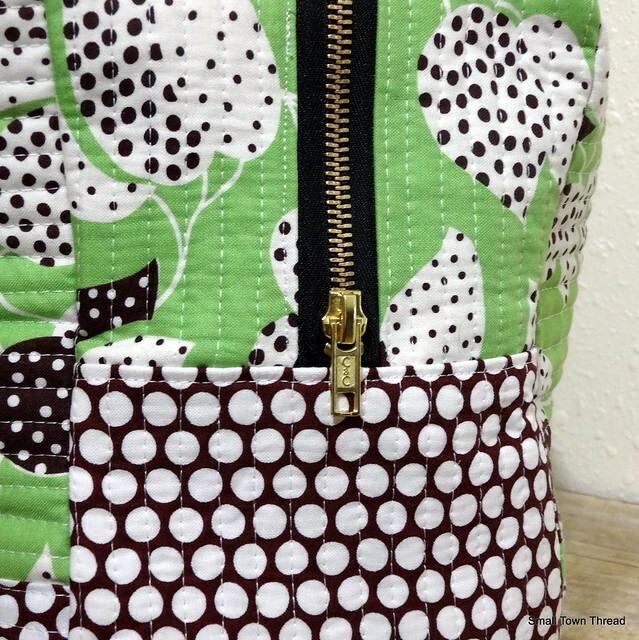 Repeat this step on the other side of the zipper. Then you’ll have an attached lining BUT the top of the lining needs to be attached to the corners of the bag to prevent drooping. 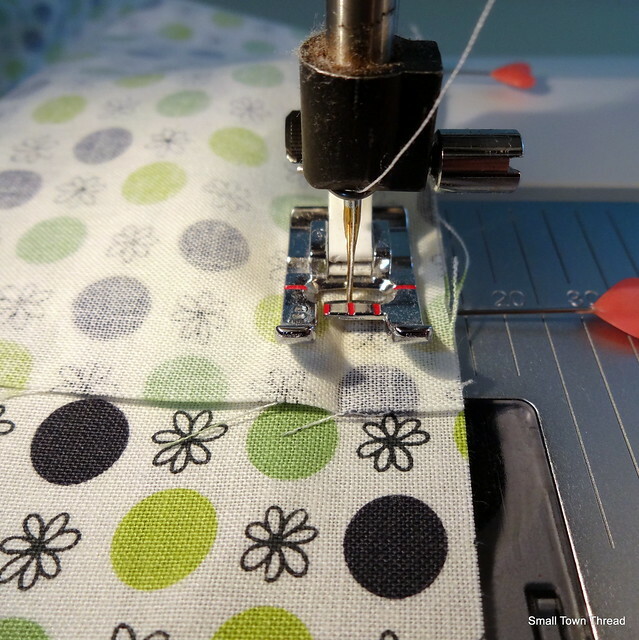 So set your machine to a small zig zag stitch with 1.5-2 in width and 0 for length. 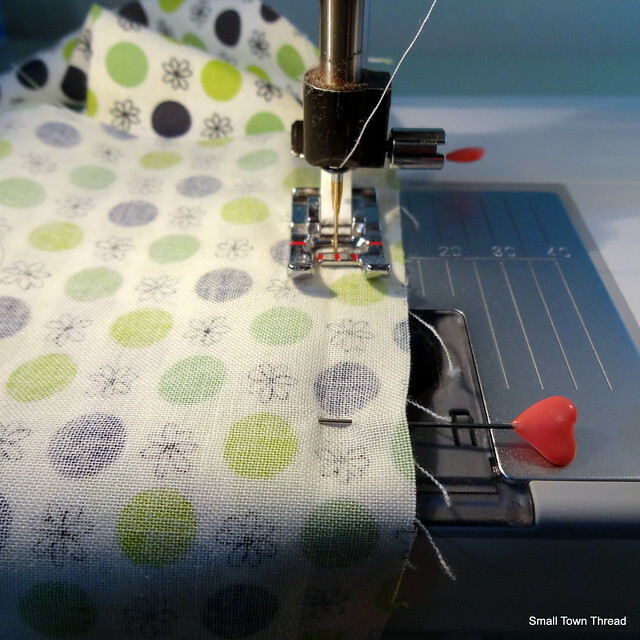 You don’t want the stitch to actually go anywhere, just side to side, to create a tack. 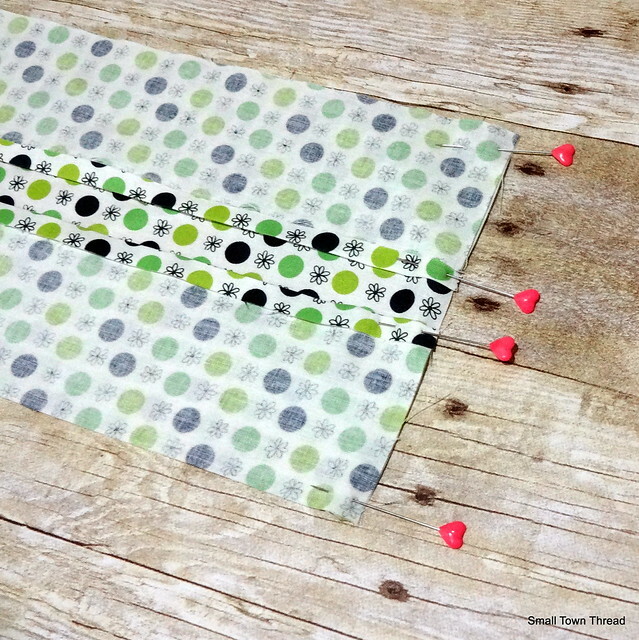 Do this on all four corners to ensure your lining stays in place and that’s it! So simple!